They've only been worn a few times, and after checking them over closely, I found a tiny flaw at the back of the waist where there's a tiny sewing flaw right next to the seam; you have to look very closely to see it because it presents as a slightly lighter color (as pictured); It appears that perhaps the seamstress stuck the needle in a little lower than intended. There's a little diagonal anomaly at the puckered leather, as pictured; I can't say it ever bothered me. 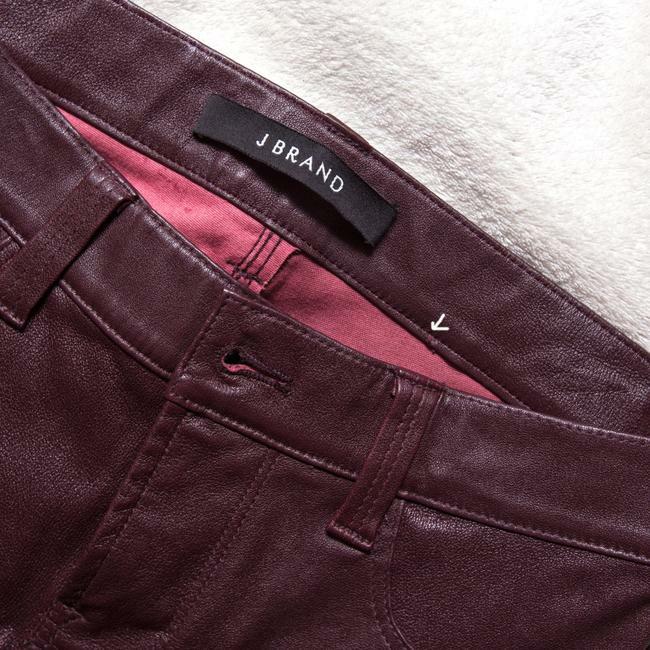 I have for sale a gorgeous pair of mid-rise super-skinny stretch lamb leather pants by J Brand. I sooo wanted to keep these but I have some unexpected vet bills to take care of so these sadly must be sold. The color is called 'Deep Mulberry' which is a darker red. 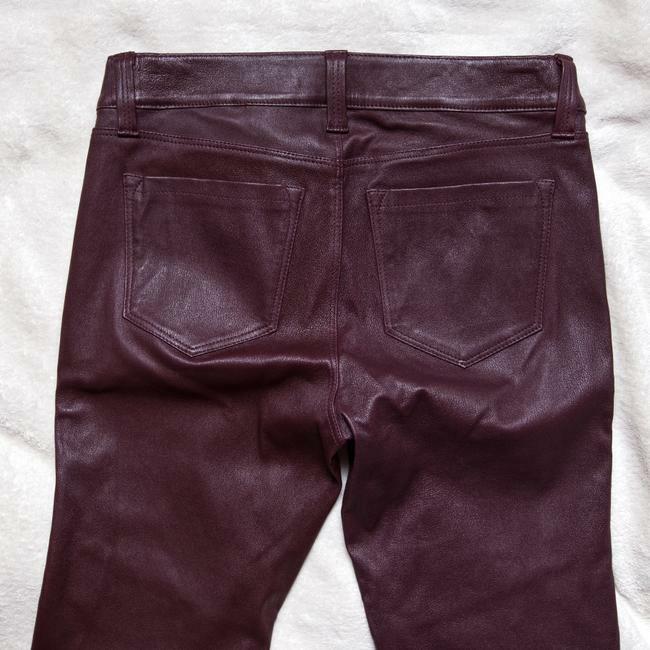 They lay very nicely since only the back pockets are functional, making them wonderful for motorcycle riding. They've only been worn a few times, and after checking them over closely, I found a tiny flaw at the back of the waist where there's a tiny sewing flaw right next to the seam; you have to look very closely to see it because it presents as a slightly lighter color (as pictured); It appears that perhaps the seamstress stuck the needle in a little lower than intended. 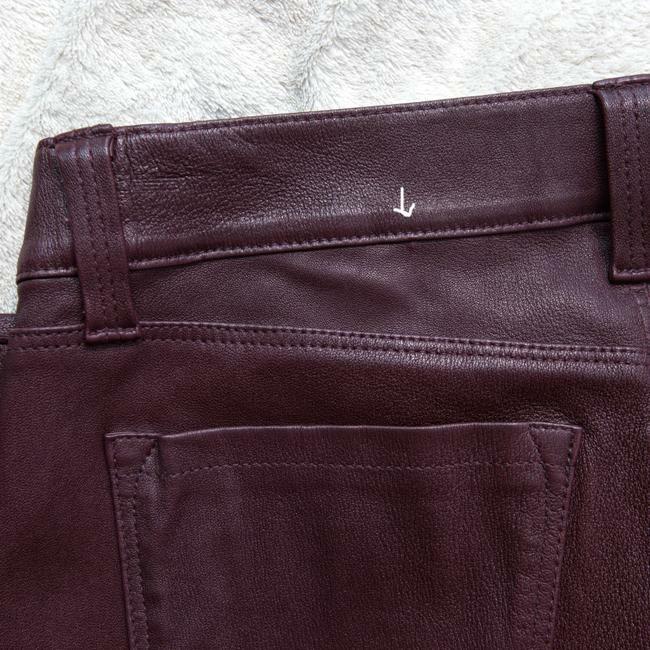 There's a little diagonal anomaly at the puckered leather, as pictured; I can't say it ever bothered me. 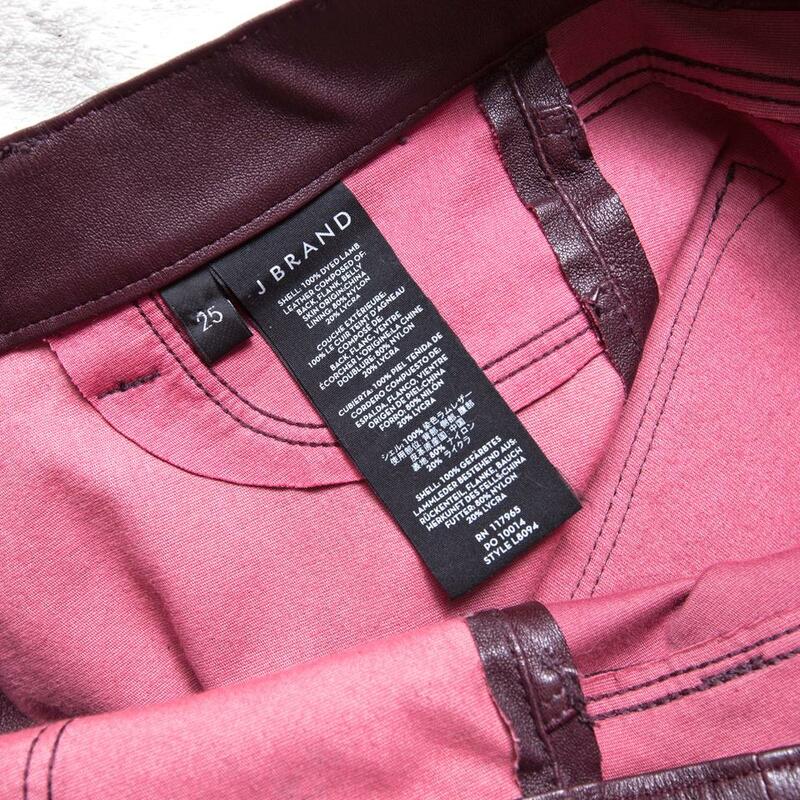 It has a 38.5" outseam, 30.5" inseam, 8" rise, measures 4" across the cuff, 13" across the waist (unstretched), and 15.5" across the hip. 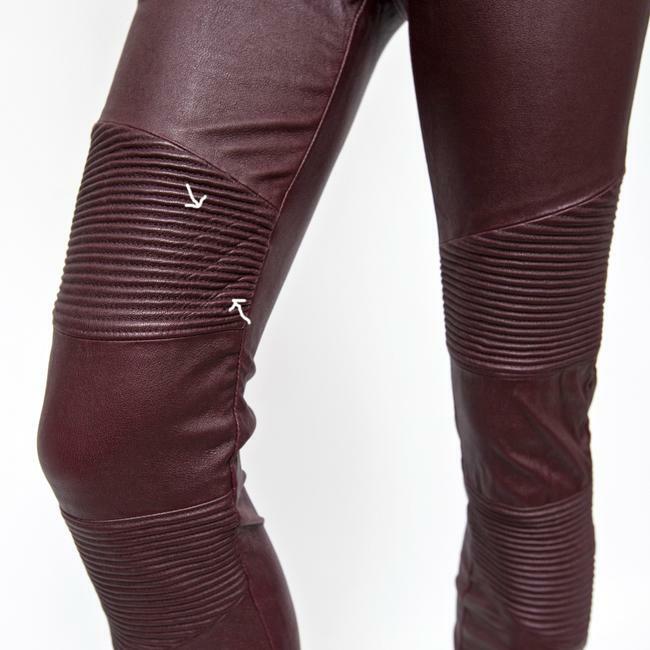 These are made with 100% dyed lamb leather. They are lined with 80% nylon and 20% lycra. These will be carefully packed, placed in a ziploc to protect from moisture, and shipped USPS Priority.